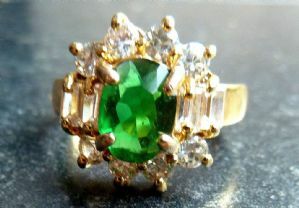 A clear and green rhinestone studded cocktail style ring. 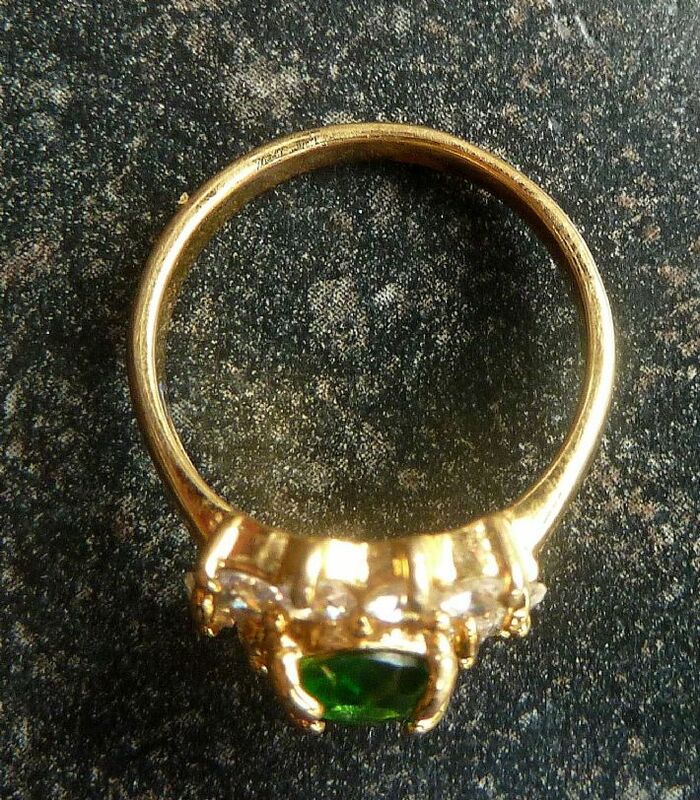 The ring has a large central emerald coloured rhinestone surrounded by clear rhinestone set in a gold tone metal. 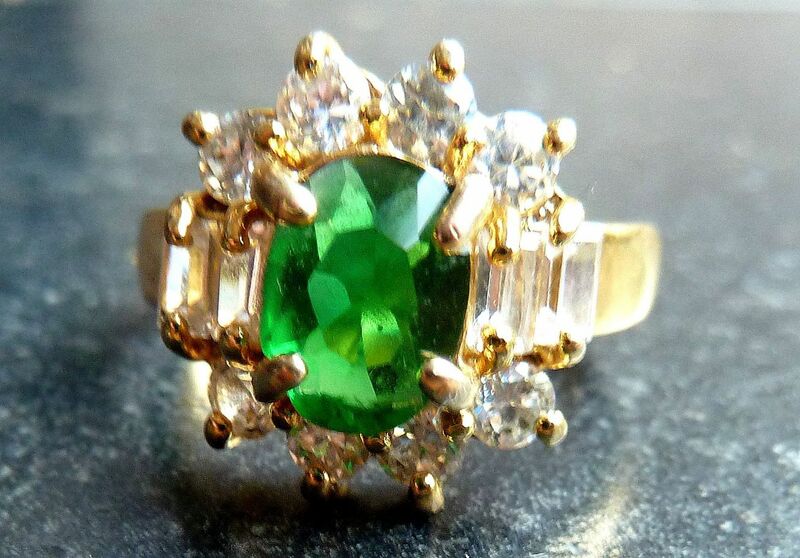 A striking modern ring in excellent condition. 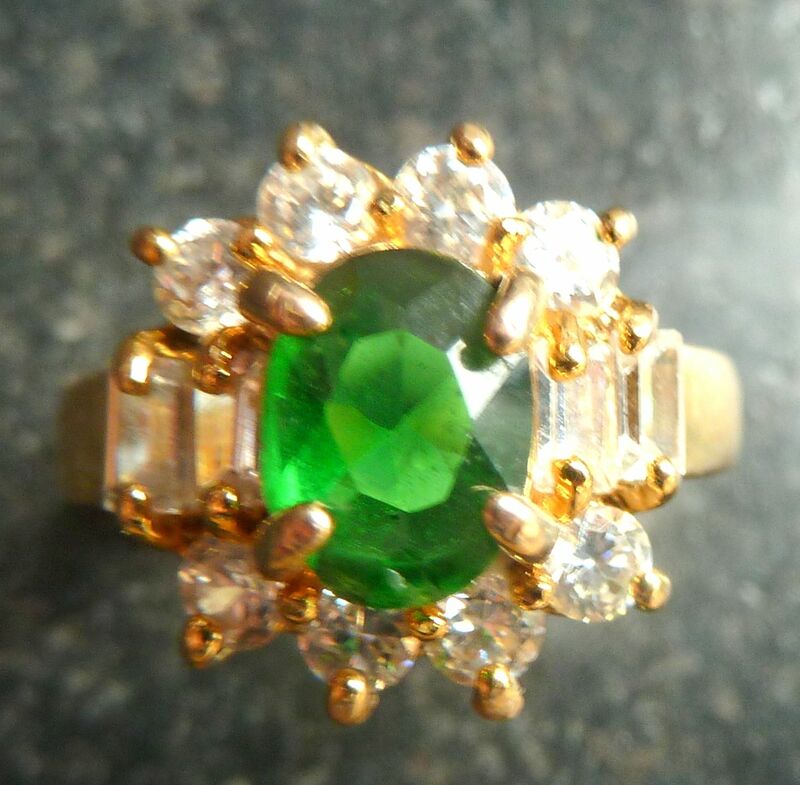 Gold tone metal with clear and green rhinestones. 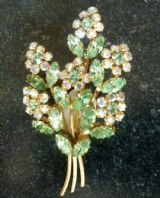 Vintage floral spray brooch. Studded with green and clear rhinestones.